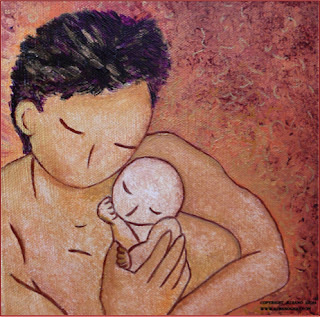 NEW MOTHER, by Allie Chee: Is DAD the Ideal Postpartum Doula? Postpartum care around the world has well elaborated traditions that support healing, bonding, and growth for the new family. They are respected and received by families in all financial strata. These traditions are considered essential not only to the mother’s immediate recovery, they’re believed to benefit her subsequent pregnancies, menopause, and golden years. The postpartum time for women in the US historically involved at least periods of bed-rest, during which an experienced woman—usually one or several family members—supported the new family. the words “indulgent,” “expensive,” and even “classist” appear in discussions. My premise about postpartum care is based on practices I’ve seen around the world and my study of Western and Eastern medicines’ postpartum traditions. But the intention of this article is not to discuss the strengths of the traditional caretakers around the world and their methods/skills. It’s to address the questions: What about the dads? Aren’t they the ideal postpartum doulas (or caretakers)? I felt fortunate that my husband was so involved. But many women don’t have partners who are capable of giving them the kind of care they need, even when they have the desire and ability. They simply don’t have time. If working, they’re away from home 8-12 hours a day. New moms and babies are awake throughout the night, and questions and needs arise around the clock. If dad works all day and helps all night—when does he recuperate? And then, of course, there are moms who don’t live with or have any participation from the fathers. However, even if they have a few days or weeks off from work, even if they’ve had other children and thus some experience, and even when they want nothing more than to help—expecting the father to be the primary or only caretaker is shifting our culture’s “you-can-be-and-do-it-all” expectation from the mother to the father. What I wrote in New Mother is that it’s everyone’s postpartum time—dad’s, too. He is elated over the birth, experiencing new emotions about his responsibilities, is losing sleep, is trying to maintain his focus at work, and he may be new to parenthood. Traditionally it was women (usually family members and sometimes paid help) with experience caring for newborns and postpartum women who offered the primary support. This allowed everyone to settle into the new experience joyfully and with significantly reduced stress. • How many fathers in the US (or anywhere in the world other than countries mandating paid paternity leave) can take off a few months or even a few weeks from work? • How does a new mom or dad know if the blood clot mom just passed is a “normal” size, or if she’s hemorrhaging? • How does either know what to do if mom has a blocked duct or simply isn’t getting a good latch breastfeeding? • How does dad know if mom is experiencing the normal hormonal shift and emotions that occur when mom’s milk comes in or if something more severe is happening? • How would dad know what foods and beverages are most healing and supportive for lactation? • With 30-50% of new moms in the US delivering their babies by surgery, and ever increasing numbers of mothers having conceived through medical intervention, even more issues can develop postpartum that neither mom nor dad would have a way to anticipate, understand, or know how to respond to. It’s true that it’s not necessary. We don’t have to know these things. We don’t have to have someone prepare a few meals for us, to answer our dozens of questions immediately, or offer us a little opportunity for rest and quiet time together as a family. Mom and/or dad can do it all. The question is why? Why go through any life altering experience—with so much potential for joy and bonding—alone, exhausted, and depleted? Why expect mom or dad to do it all? How comforting and peaceful to have a knowledgeable, experienced woman at our side—even if only a few hours a day for a few or several days—who can allow mom and dad a little more sleep? Who, with her experience, can quickly help and dismiss concerns—leaving mom and dad to revel in the new spirit who’s joined their lives! Opinions aside: Take a glance at the statistics of new mothers in the US suffering from PPD, PPP, failing to breastfeed when they wanted to, requiring pharmaceuticals to function, returning to work as soon as possible and leaving the care of their newborns to strangers—especially in light of the statistics for these same issues in third-world countries. It’s clear that our approach to the postpartum time is flawed. Postpartum support for the family is not considered a luxury in cultures all around the world—it’s considered a part of childbirth, and expected for families rich and poor. Try and tell a new grandmother in India that she won’t be allowed to serve as the primary help for her daughter and son-in-law postpartum! Tell a new grandma in China that her son-in-law will be the only person providing for her daughter postpartum! Back in the United States (and Canada, Australia, and a growing list of other countries), by the time we’re pregnant and new parents, most of us haven’t spent much if any time with a postpartum mother or newborn in decades—if ever! Ditto for our relatives. We’re utterly inexperienced for the most important time and role of our lives. I reached out to a wider community to see what other thoughts could be contributed to the conversation. 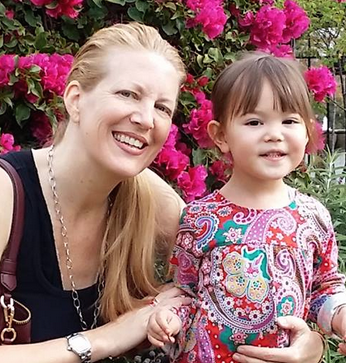 I spoke with a dad, a doula, a counselor, and a doctor—and this is what they had to share. “The emotional bond between partners is the cornerstone in the foundation of their family. The most important thing from my perspective is that, in the immediate postpartum period, the couple has the time, focus and energy to be able to get to know each other and connect as a new family. It is challenging to carve out this space and protect it from the avalanche of tasks and distractions of modern-life. But it’s absolutely essential: the bond between a couple reduces stress, reduces the risk for postnatal anxiety and depression, supports the mental and emotional wellbeing of each of them – and of their baby. One of the biggest things I’ve seen to negatively impact a couple’s relationship, even many, many years afterwards is when one or both of them experience the birth as traumatic. It may be that the woman was traumatized, and her partner directly affected by how the trauma has impacted her, or he was directly traumatized by aspects of the birth himself. A traumatized mother has a 75% higher risk of developing PPD. We know that caring, capable support during labor can reduce the risk for birth trauma and that the same following a traumatic birth both facilitates postpartum adjustment and reduces the risk for symptoms of Post-Traumatic Stress Disorder. “In China, it is expected that the mother will be not just be cared for, but will be protected, at this vital time. 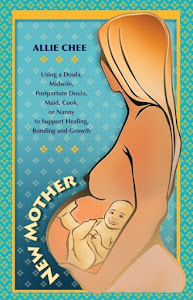 Traditionally, the people supporting the mother in the postpartum time were family members who’d learned from experience what skills, foods, and tasks best served the new mother, protected her health, promoted her rejuvenation, and enabled her to produce abundant milk for her baby. Fathers do not receive paternity leave, but it is common for them to save funds and vacation time while trying to conceive and during the pregnancy so they can stay home with the mother during the first few to several weeks. In the past, people only hired help outside the family if their relatives’ age or health prevented them from being able to help. This is changing now, and it is more common for families to hire trained and experienced professionals—but fathers remain deeply involved.